Manhattan isn’t the only place pushing back against 7-Eleven. 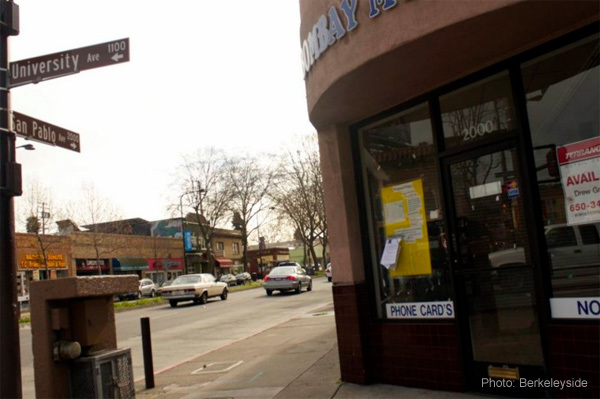 In California, Berkeley’s Zoning Adjustments Board was successful at preventing a new 7-Eleven from staying open all night after concerns over the negative impact the 7-Eleven might have on local crime and safety. “Berkeley’s Zoning Adjustments Board on Thursday approved 7-Eleven’s application to open a store at 2000 San Pablo Ave. (at University) with an ATM machine and some design changes, but said it did not want the store to be open 24 hours. Neighbors are also concerned how the 7-Eleven would impact their local businesses. The area has a significant mix of ethnic food stores and restaurants and was designated an international food district by the city several years ago. 7-Eleven, on the other hand, has a significant mix of junk food. 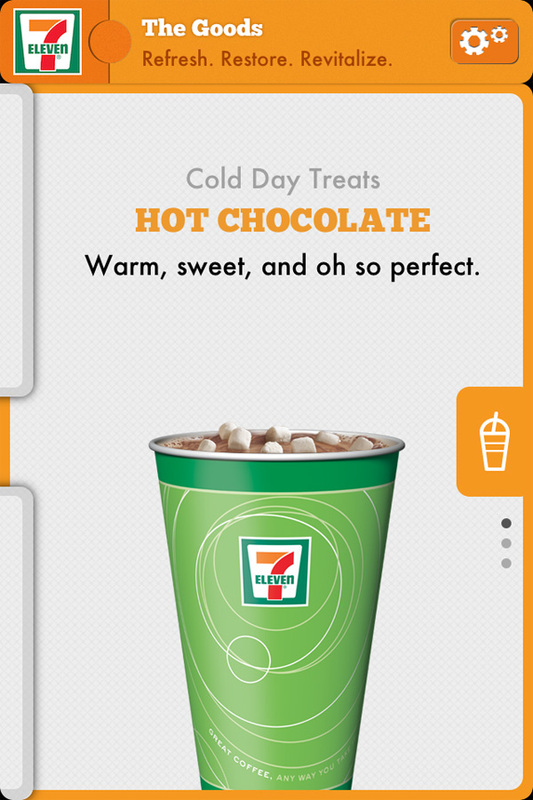 Categories: 7-Eleven US Locations | Tags: 7-Eleven 2000 San Pablo Ave, Berkeley, Junk Food App | Permalink. 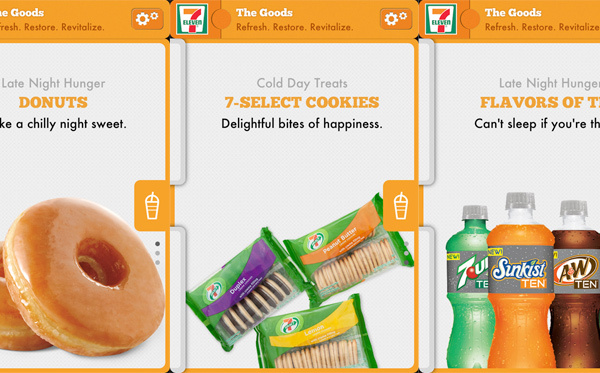 7-Eleven’s Identity Crisis: Health Food Nuts or Junk Food Huts? As 7-Eleven bulldoze their way into New York City, their PR machine is hard at work trying to reinvent the Texas-based cigarette/gas/beer chain as some type of healthy eating oasis for our “underserved” neighborhoods. No small feat considering 7-Eleven is synonymous with KFC bucket-sized sodas, perpetually rotating hot dogs and mashed potatoes served from a vending machine. But what they tell the press and what they market through their website, social media accounts and that awful junk food app are two completely different things. 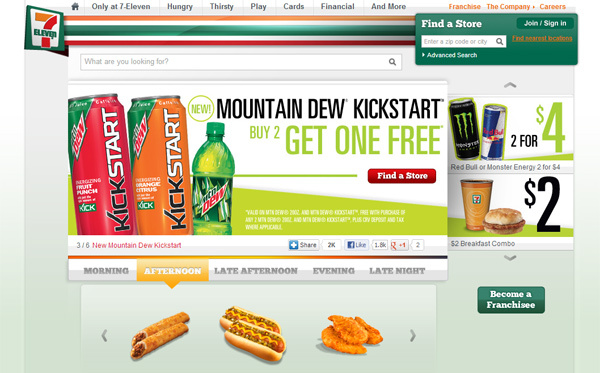 On the 7-Eleven website, a majority of the products featured are unhealthy to say the least: sugary energy drinks, Mountain Dew soda and unidentifiable fried things. 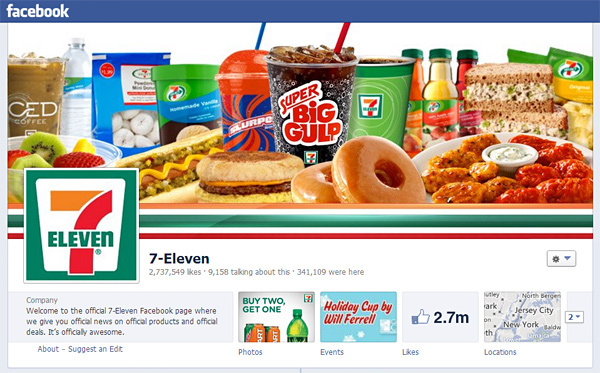 The 7-Eleven Facebook page isn’t much better. Of the 15 items shown, only 2 of them – water and fruit – are healthy. 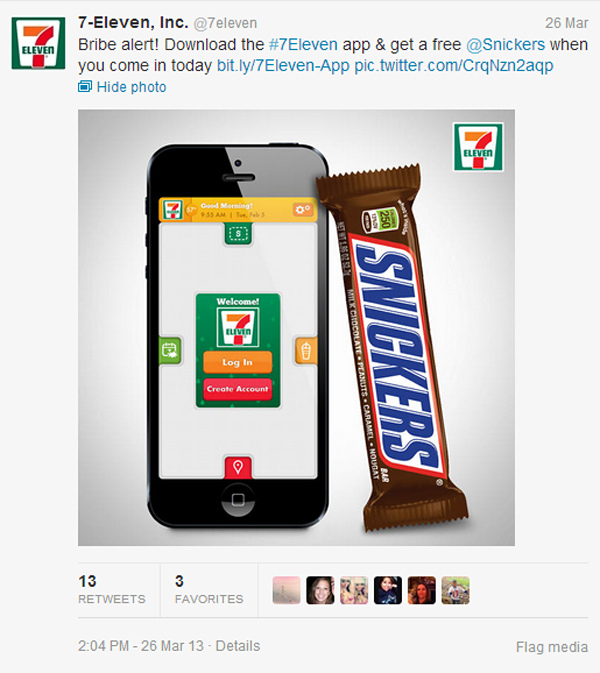 If you’re looking to slip into a sugar coma, look no further than the 7-Eleven Twitter account. Wash down a pile of greasy mini-tacos and a candy bar with a bucket of Big Gulp! SO healthy! 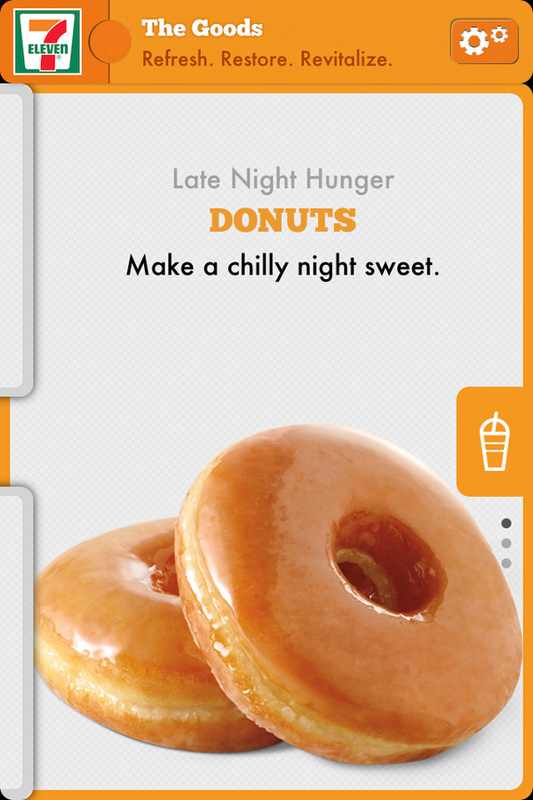 And let’s not forget their GPS junk food locator app! Of course local bodegas carry some of these items as well but they don’t use junk food and sugar as their main marketing message the way 7-Eleven does. 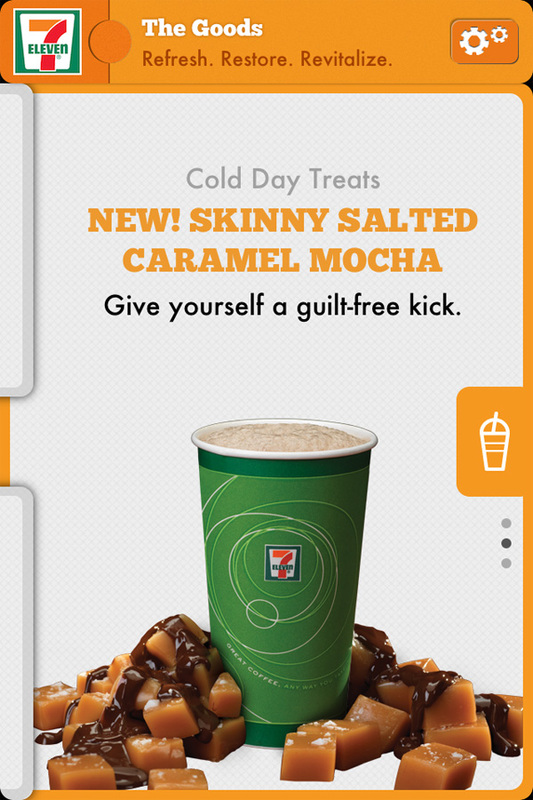 In a time when childhood obesity – and adult obesity for that matter – is on the rise, do we really need 7-Eleven’s junk food shacks on every corner? 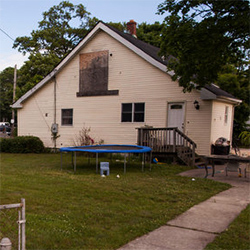 Don’t our neighborhoods deserve better? 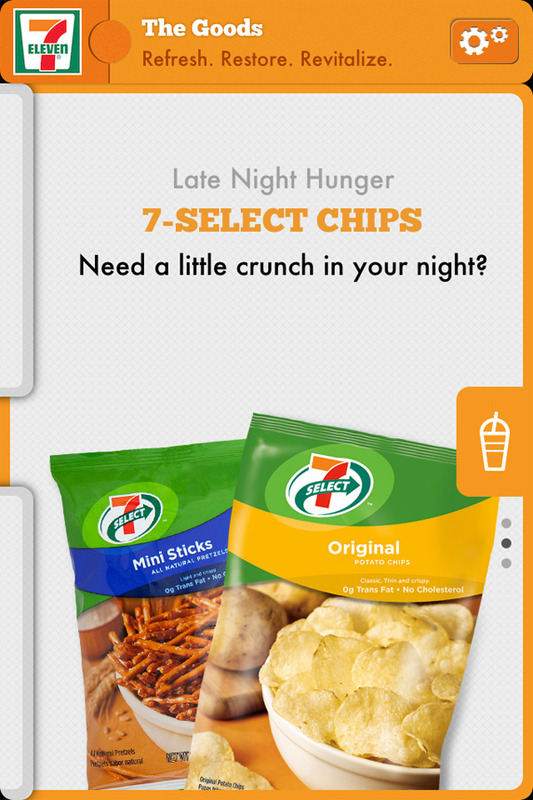 Categories: 7-Eleven Marketing | Tags: Healthy Eating Options, Junk Food, Junk Food App, Mashed Potato Vending Machine | Permalink.